Does the world need another sporty SUV? We’d be inclined to say no. And yet, we can’t help but be drawn to this new one from Skoda. 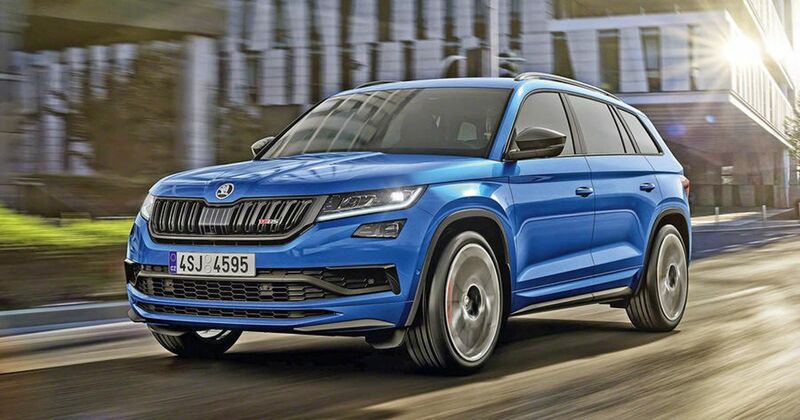 It’s a vRS version of the Kodiaq, and, we must say, it’s a handsome devil. It’s been given a commendably restrained visual makeover, with new front and rear bumpers, some gloss black bits, 20-inch alloy wheels, and…that’s about it. What we have here is a hot SUV for sensible types, and there’s nothing wrong with that. How sensible? Well, it’s just as practical as the standard Kodiaq, with a 600-litre boot and the option to spec one as a seven-seater. It’s perhaps more ‘warm’ than ‘hot’, though. 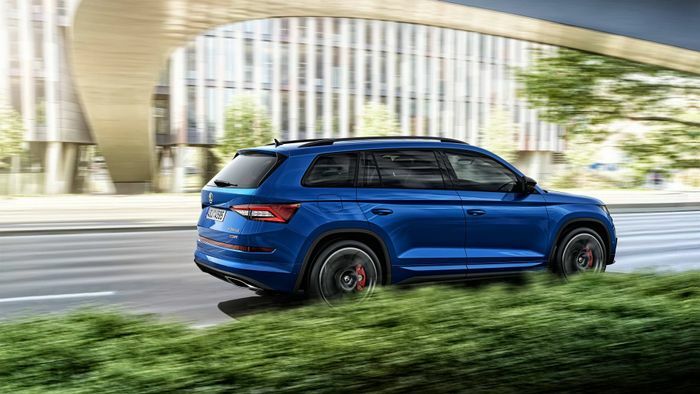 Under the bonnet you’ll find a 2.0-litre inline-four twin-turbodiesel, kicking out 237bhp and 369lb ft of torque to all four wheels via a Haldex-based four-wheel drive system. 0-62mph takes seven seconds dead, while the top speed is 137mph. Another thing the Tiguan Allspace doesn’t have is a Nurburgring record. 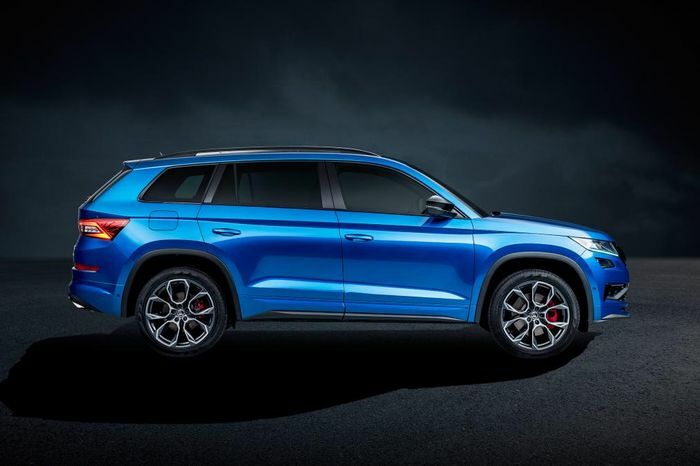 Yep, Skoda has gone to the effort with the warmed-up Kodiaq, although with the current record being Alfa Romeo’s Stelvio Quadrifoglio - which has over double the power - the outright SUV record was never going to happen. 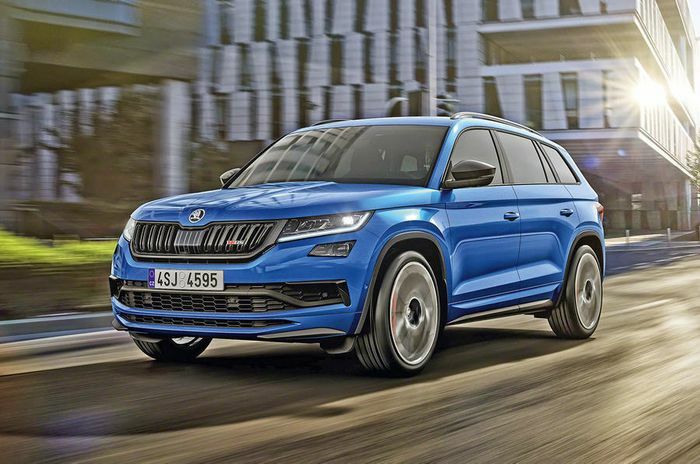 The Kodiaq’s 9min 29.84sec lap at the hands of Sabine Schmitz is a minute and 38 seconds off the Stelvio Q’s, but the Czech company found a neat little loophole - the effort is brisk enough to give the vehicle the record for seven-seater SUVs. Clever. UK prices haven’t been revealed just yet, but we’re expecting a starting figure approaching £40,000. 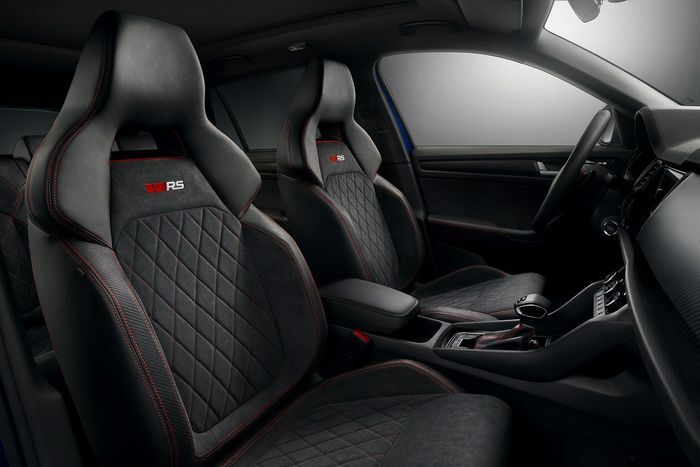 It’ll be on display at the Paris Motor Show from Tuesday.